Joma Sport has been announced as the headline sponsor for the 2019 Scottish Junior National Championships which take place at Aberdeen Squash & Racketball Club this weekend (Friday 1st – Sunday 3rd February). The event has attracted more than 130 competitors which has increased year-on-year over the last three years. Joma and Total Teamwear Scotland are currently the official kit sponsor and kit supplier for Scottish Squash and support our national teams, who represent Scotland at junior, senior and masters level. 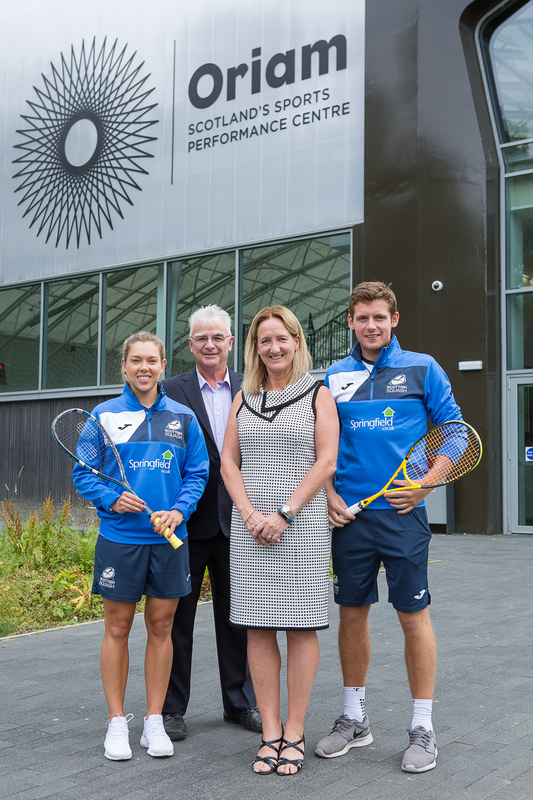 The 2019 partnership for the Joma Scottish Junior National Championships is an exciting announcement as we aim to grow the brand across squash in Scotland and allow clubs and teams to reach out to some of the benefits available with the agreed partnership. Andrew Barrowman, Joma Brand Manager for Scotland, said: “Joma Sport is delighted to be supporting the Scottish Junior National Championships. “In recent years our partnership with Scottish Squash has been growing from strength to strength and we look forward to continuing to work with the association to help promote the game throughout Scotland and beyond. Scottish Squash has recently launched a new online shop in partnership with Joma Sport and Total Teamwear Scotland where members can purchase items that are worn by our professional athletes and national teams. Maggie Still, Chief Executive Officer of Scottish Squash, said: “We are thrilled to see such a strong entry heading to Aberdeen Squash and Racketball Club this weekend for the Joma Scottish Junior National Championships. She added: “I wish all of the competitors a thoroughly enjoyable Championships and huge thanks to Joma and Total Teamwear for their continued support and valued partnership. The host venue for the 2019 Championships was awarded to Aberdeen Squash & Racketball Club at the start of the season. Having successfully hosted the event for the last three seasons and successfully delivered other national, international and professional events it is a fantastic environment for our junior players to compete in to become national champion. The competition runs from Friday 1st – Sunday 3rd February 2019 and spectating will be free of charge throughout the whole event. Streaming of one court at Aberdeen will also be available. Stay tuned for further details. The draws for the competition can be viewed here. Springfield Scottish Squash Open – Tickets now on general sale! To purchase tickets for the Springfield Scottish Squash Open 2019, click here.